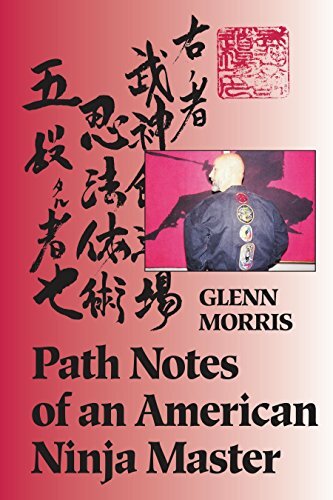 Amazon.com description: Product Description: Using a lively style and the languages of transpersonal psychology, meditation, esoteric magic, and kundalini, Glenn Morris recounts his amazing adventures and hair-raising close calls while training and then practicing as a master of martial arts. Following in the tradition of the legendary Togakure Ryu of Japan, whose fighting techniques and lore inspired the fascination of westerners with Ninja warriors, he offers guidelines on how to tell sham from authenticity, how to keep friends while developing power, how to voyage safely into the inner landscape, and how to deal with dark forces-incarnate and disincarnate. At the same time, he provides exercises, tests, and adventures for the courageous-as well as spiritual and ethical compass. About: Using a lively style and the languages of transpersonal psychology, meditation, esoteric magic, and kundalini, Glenn Morris recounts his amazing adventures and hair-raising close calls while training and then practicing as a master of martial arts.